How often do you drink Chardonnay? How much do you usually pay for it? Leave a comment, and let us know. Search for wine and wine-related products on Amazon. 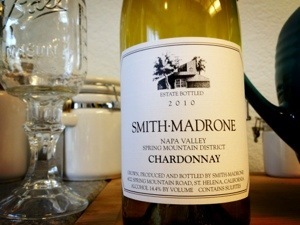 This entry was posted on March 20, 2013 at 5:32 pm and is filed under Stay Rad Wine Blog TV. You can follow any responses to this entry through the RSS 2.0 feed. You can leave a response, or trackback from your own site. Ooooooh, first comment! Besides my own unoaked that I drink a lot of because I’m constantly pouring for people and have leftovers, and I happen to like it a lot. I like unoaked to lightly oaked, such as the one you just reviewed. I don’t like big Chards(either?) and I find the Frenchie chards to be a bit more reliable in that respect; see: Bourgogne. Plus they’re cheaper and delicious. I rarely-to-never spend more than $20 on Chards but I might give it a try one of these days. The lighter/no-oak dudes are definitely very food-friendly as you were describing above. Unoaked is a dream with Sushi! Ok I’m finished. You’re rad and we need to go drink some wine again. Spring break starts next Friday, Pecos. Let’s make it happen.